So how have you been and how have you been enjoying these last days of summer? 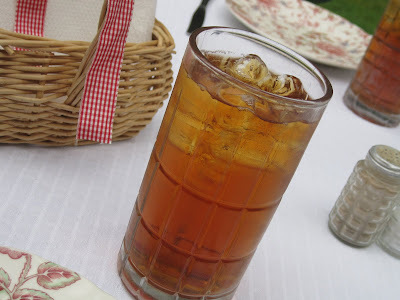 Here, it has been warm this week, and we have been drinking sweet tea like there's no tomorrow! 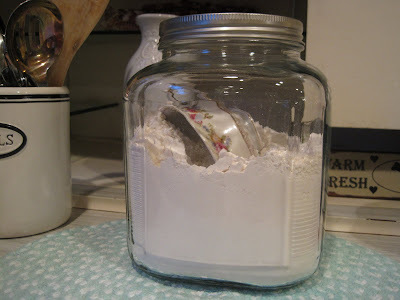 I thought I would share the little recipe for it, but it's really simple, so you might recognize it! My mom grew up in the South and this is the tea she always made when I was growing up, only she put more sugar in hers. :) It's simple, but oh-so-good! Pour boiling water over sugar and tea bags and stir a little. Gracie: Daddy, would you rather have a cavity or a Barbie tatoo? Hearing about this later, I laughed and asked him, "So what did you choose?" I hope you all have a wonderful Friday! The weekend is the very best part of the week, don't you think? 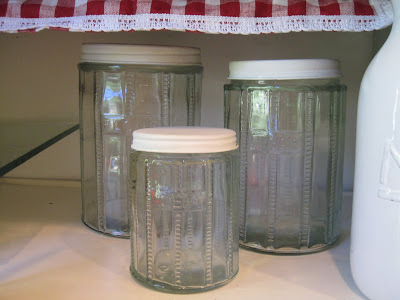 Love those jars! The tea looks good but I hate the taste! Hi there Jenni! Cute jars! I think the reasons our pictures don't look as good as BHG is because we don't have professional lighting... I am however looking into getting some eventually. You know, backdrops, big lights, everything. Did you know my latest dream is to be a photographer? ROFL! Gracie your too funny! Cute cannisters! I like the teacup idea, and I think yours looks great. Don't worry about comparing yourself to BH&G. I've seen that picture and it is cute. I think their jar may be larger? Anyway, yours is cute too! Thank you for the well wishes. I think I'm recovered now. I go back Monday to have temporary crown put on and I think that's a pretty harmless procedure (I hope)! LOL how cute is your little girl?! I think your canisters look GREAT!! Love it filled and the little tea cup in it...too CUTE! My favorite is peach tea! Delicious! How funny is Gracie that she came up with that!!! I'd choose a cavity,too. And I'm even a girl! I love old canisters, too. I have one full of antique cookie cutters in my kitchen and one huge one that holds my laundry soap. You don't go anywhere in Georgia and not have sweet tea on the menu. I would have chosen the cavity too. I don't care for tattoos. Being from the south we go through a gallon or two of sweet tea a day! Dr. Hubby would have chosen the tatoo...anything to avoid the dentist.